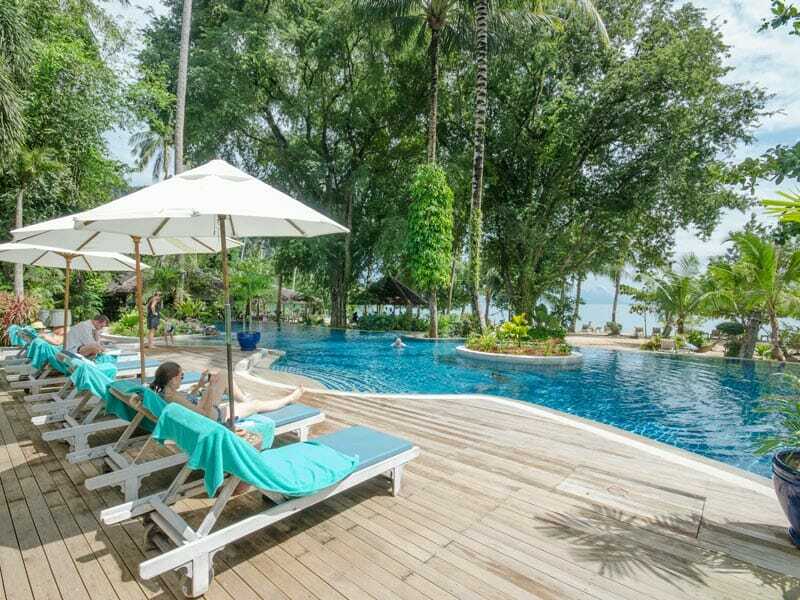 8 Nights in a Standard Studio at Paradise Koh Yao including 2 FREE nights! Avoid the stress of organising flights and luggage! With return flights and 20kg of checked luggage planned for you when you travel with My Thailand the only thing you will need to worry about is enjoying the experience. Spend more time enjoying the beauty of Thailand and less worrying about organising a taxi at the airport! 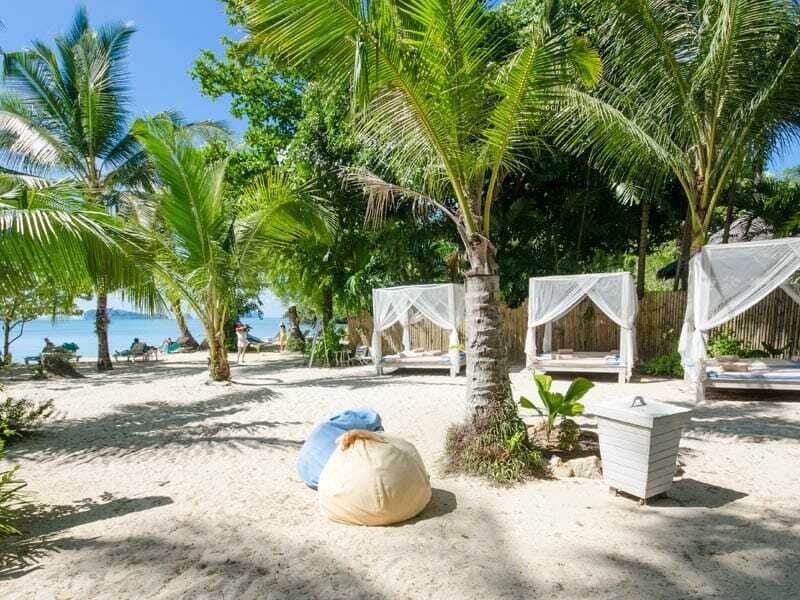 When selecting this My Thailand package, you will avoid that stress by being able to get to and from your accommodation with return airport transfers. Learn to breath and feel your body like never before with this complimentary yoga class. Stretch and relax and feel all your stress melt away. This is a great way to feel revitalised during your stay. When you explore the island on a mountain bike, you’ll see things that are often missed. This is a great way to explore this wonderful place. Take out the resort kayaks for some fun and exercise while you explore the local waterways. The resort can provide a map showing where to see the most interesting local sights. 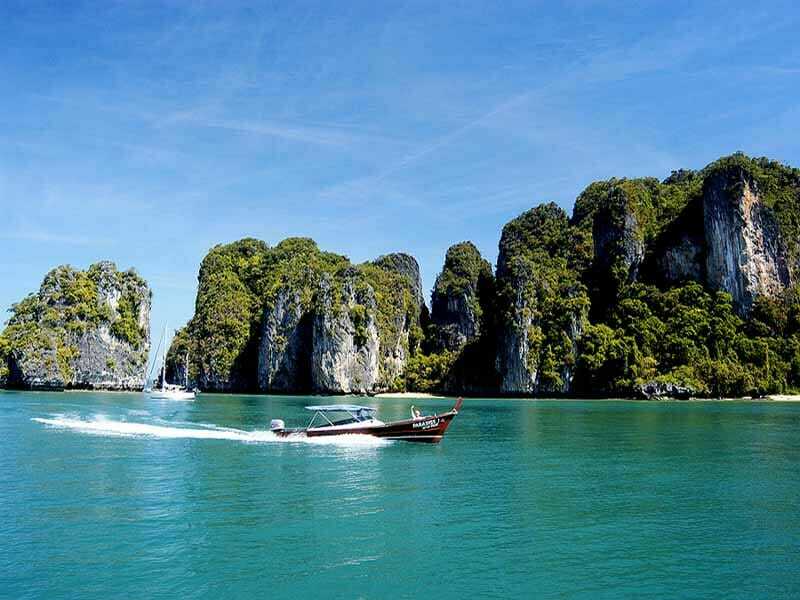 Exclusive My Thailand package savings including 2 FREE NIGHTS! Superior Studio – UPGRADE from only $100 per person! Begin your mornings on the romantic swing for 2, overlooking the green hillside of the resort grounds. The 54sq. meter Superior Studios feel light and airy, with an elegantly netted oversized bed – perfect for a dreamy evening sleep. Your generous and thoughtful space includes an open-air Sala living area, dressing area, desk, tropical semi-outdoor bathroom and daybed. Perfectly sized for 2 adults these studios include complimentary bottled water, tea and coffee facilities, safety deposit box, minibar, fruit and flowers, bathrobes, laundry service, satellite TV and Wi-Fi. A baby-cot and connecting rooms are also available on request. Soak in your own private jacuzzi, rest on your studio swing and take in the beautiful lush surrounds of the resort – all from the comfort of your Jacuzzi Studio. Much like the rest of the resort, all 56sq. meters of this studio feels open and airy. There is a reason it’s called paradise! This studio features 1 King-size bed with netting, an open-air Sala living area, dressing area, desk, tropical semi-outdoor bathroom, daybed, complimentary bottled water, tea and coffee facilities, safety deposit box, minibar, fruit and flowers, bathrobes, laundry service, satellite TV and Wi-Fi. 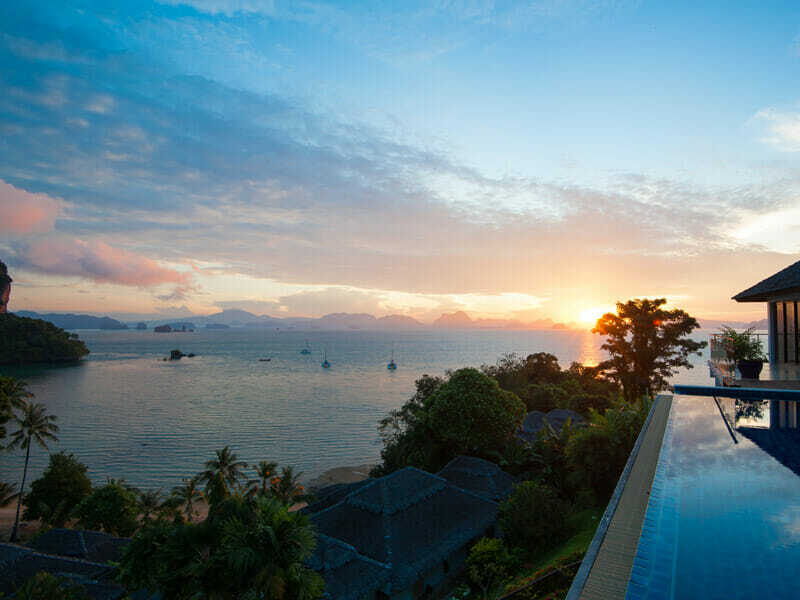 Nestled into the resorts hillside and overlooking the exquisite Phang Nga Bay, paradise awaits! Enjoy a romantic evening watching the world go by as you sip champagne from your private plunge pool. Awaken to bird song and soft breaking waves on the swing in your open-air living area. Then, and only then, you might want to venture out for a day’s snorkelling or pampering at the spa. The Plunge Pool Deluxe Room calls for total relaxation! Other features include 1 King-size bed with netting, private plunge pool and deck, dressing area, desk, tropical semi-outdoor bathroom, daybed, complimentary bottled water, tea and coffee facilities, safety deposit box, minibar, fruit and flowers, bathrobes, laundry service, satellite TV and Wi-Fi. 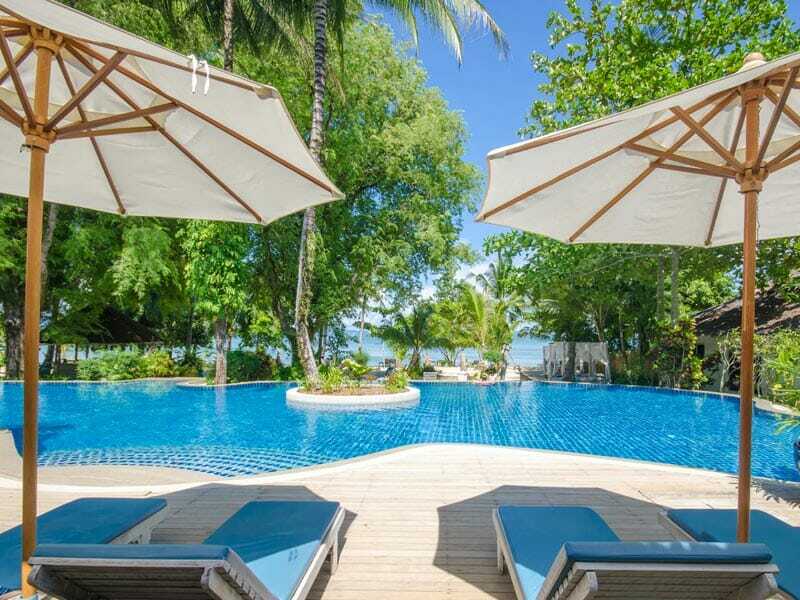 Beachfront elegance at Paradise Koh Yao! Enjoy secluded luxury with direct access to the beach, views from your private pool (with a separate jacuzzi) and couple’s swing – perfect for sunset champagne. Nestled amongst the surrounding gardens, your Pool Villa even has its own bar! A sprawling 91sq. metre paradise; relax into your breach front, garden oasis complete with a large outdoor living area, elegantly netted King-size bed and uninterrupted views of Phang Nga Bay. These villas also feature: a daybed, separate walk-in closet and dressing area, stylish writing desk, tropical semi-outdoor bathroom with a rain shower, air-conditioning, ceiling fan, mini bar, tea and coffee facilities, bathrobes and evening turn-down service. 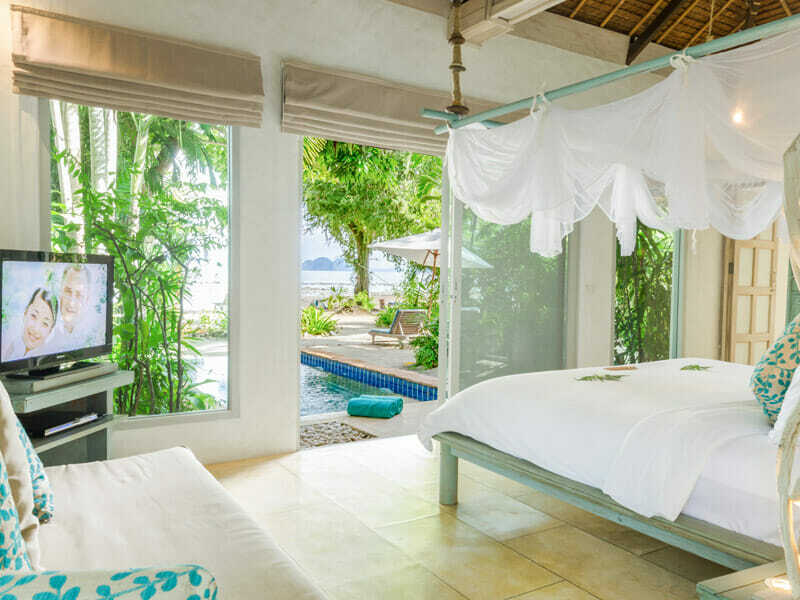 A tranquil escape that balances comfort and seclusion on the untouched Koi Yao Noi island. 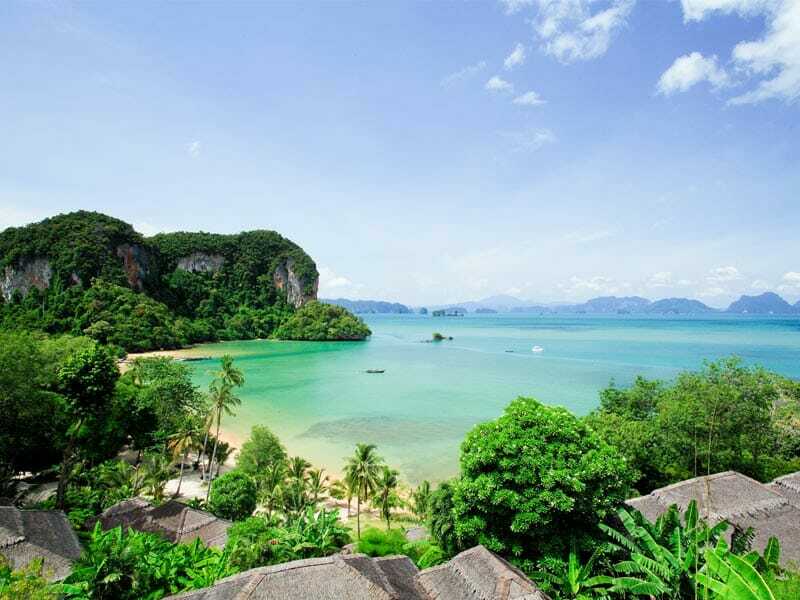 Paradise Koh Yao is just that – paradise! Enjoy romantic walks along the beach, candlelit dinners and relaxing spa treatments or venture out to explore the many picturesque islands that surround you. 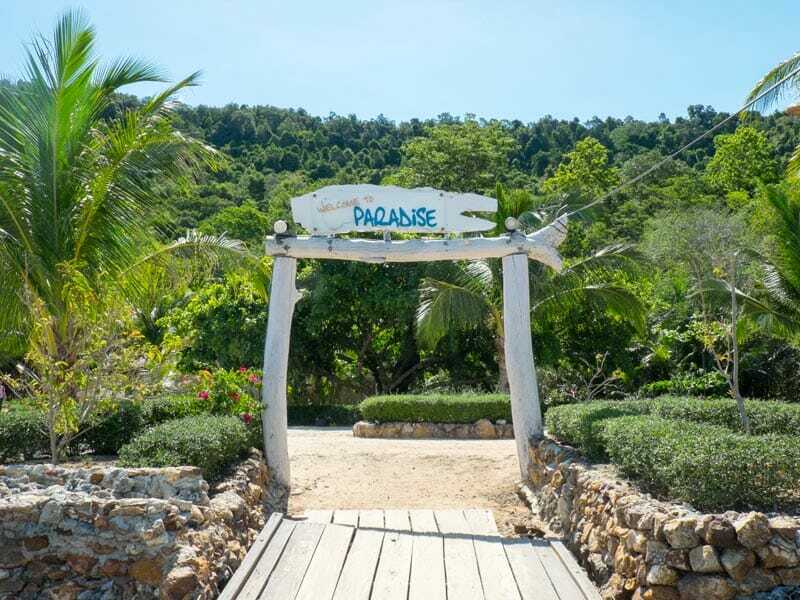 Paradise Koh Yao is a peaceful hideaway boasting all the comforts a luxurious holiday calls for. Read more about Paradise Koh Yao here!